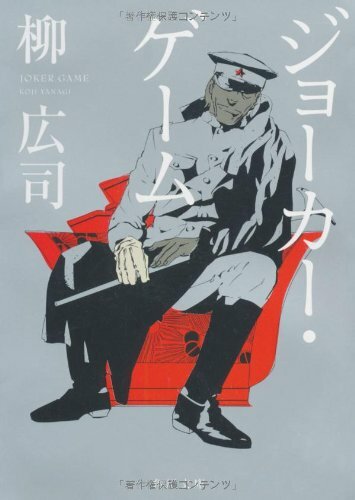 The Joker Game novels by Kouji Yanagi will be animated. The TV anime series will be produced by Production I.G and helmed by their Kazuya Nomura. The original character designs will be handled by none other but Shirow Miwa. If these names tell you little or nothing at all, check our the rest of this post for information about their other projects. The official website of the project is still unpopulated, but we must expect it to be full of goodies very soon. A Twitter account is also bound to the new project;follows are still in the to-be-approved phase. The author Kouji Yanagi specialises in seinen manga. Yanagi’s previous work was called D no Maou and was a historical seinen story, focused on the spies during the first years of the Showa era in Japanese history. Joker Game is the mangaka’s second officially published work and it was first live in 2014. The director Kazuya Nomura directed some shows we all know, such as this year’s Ghost in the Shell, Robotics;Notes and Sengoku Basara Two. Character designer Shirow Miwa is a known name to many. This is due to designing the characters for Perfect Day and being the mangaka of Dogs: Bullets and Carnage (and character designer for the OVA adaptation). The question is, how will this team manage to make the manga watchable – through complete adaptation or by adding new things to the original story? I hope this title turns out to be as promising as it sounds. Will definitely give it a try. They will be adding stuff, as always.